– Hello, thanks for taking your time. What’s currently keeping FESTER busy? – You were formed two decades ago but, after so many years of silence I guess there may be some people that aren’t familiar with you so, could you please share some history of the band? Of course… Might be good since we have played metal longer than some of our fans have lived… Ha ha! We started up back in 1989 in Askim/Norway. Released our first demo “The introduction” in 1991 and our second “Winter of Sin” in 1992. Released our first album on No Fashion Records (their first cd release) later that year and our second full length in 1994, “Silence”, on Lethal Records. We decided to disband in 1995 due to several reasons, but were supposed to reunite in 2000. No Fashion Records re released “Silence” for this reason, but it all shattered to pieces when our bassman Jørgen tragicly died. Things has been silent since then, until we started to make FESTERing tunes again a couple of years ago. I guess that’s a long story made short ! – And why did you pick “Fester” as the band’s name? When we started up we were actually named “Heroic Conduct”… I used to write letters with Anders Odden of Norwegian Deathsters “Cadaver” and he said he had a better name for our deadly music: “FESTER”.. He actually drew our first logo as well! That is not the one we use now , but if u wanna know how it looked like you should check out our democompilation that KYRCK released in 2010. – You were formed during the late 80’s in Norway, when a lot of Black Metal bands started their careers, and you guys played something different. Could you say maybe you laid back then on the shadow of some of those bands? Of course it wasn’t easy playing more Death oriented music back then. Here in Norway it was all about the 2. wave and there where a lot of great Norwegian Death Metal bands/Thrash bands that didn’t get the attention they deserved. This wasn’t the reason for FESTER’s split up though. We have never made music to please a certain crowd, nor tried to make music within a certain concept. We have always meant that its better to be true to yourself and be loved by few, that to kneel for others and be liked by thousands..
– In fact I have always though you were a really underrated band, unfortunately. Do you think this will now change, with the Internet and different tools? Thanx for the compliment 🙂 I really don’t know. We hope that more people will be aware of the band and understand what we are about, but I guess we will always be that underdog that some handfuls adore, some hate , and most don’t know about !.. – You will soon release “A Celebration of Death”, your first album in 17 years. After so many time without having any studio activity, how were you feeling about this new release? We all feel that we have created something we can be proud of, something different, but yet something that praises the theme of the record: death… It was a good feeling to get in the studio again to record some FESTERing tunes, you bet! – And how are the first reactions being? The first response has been overwhelming and great! We were curious if people would understand what we tried to do here, but so far they have understood it spot on. – During these years you played on SINCERA but, have you been in any other musical projects? – And what prompted resurrecting FESTER? Several reasons, but the main reason was actually Iannis of Kyrck Production and armour. When he released our demos as a compilation I felt more complete and I really understood what this meant to me. I transisted these feelings into tunes, and some of them are to found on the new record. The thought of resurrecting FESTER came along as these things progressed, and it just felt naturally. The tunes sounded somewhat FESTERish and couldn’t be released as “Sincera” tunes or as a whole new band. – As on your first albums, on “A Celebration of Death” you are still mixing different elements from several extreme Metal styles, plus even certain Jazz flavour but, what could you say are the main differences between “A Celebration of Death” and your previous “Silence”? I have always meant that FESTER has been difficult to label, and I think you’re on it that the reason is the mix of flavours and styles. This is not intended and done to make it different, but it just turns out this way. I think the main difference is that I have sought for complexity in the simplicity (…) and tried to capture a darker and rawer sound. Using older guitars and amps than before. More true to our roots. – Though still having those certain Jazz touches, I’d dare say this is a less experimental piece. Was this something you aimed for? I agree, but it was very exiting bringing the jazz element into these tunes. The session drummer Audun Kleive is a Grammy Nominated percussionist that have never done metal, but he is well known for his ability to become at one with the music he plays and some of his strokes are so “off” that it sounds like whip strokes instead of drums ! Some will hate this for sure, but using a single bassdrum and just 3 tam tams is quite unique in 2012 for a metal band. I won’t say we will always do this, but for this record, this version of these songs, it felt right. – It’s also certainly heavier. Did you have clear since the beginning this was what you wanted for your comeback album? Not intended for the album as a whole, but for some of the tunes we really wanted, and intended to get them as heavy and dragging as possible. “March of Death” was one of those tunes, and it’s just so grim, cold and heavy that it just like a death march! – In fact production helps a lot in getting that heavy sound, it seems like you haven’t aged at all in that sense. Would you mind to shed some light on the recording/production process? I didn’t expect it to sound so raw. – And what about the songwriting? After all these years and the new line-up, did something change on it? One would maybe think so, but no… The main difference was that this time I made all the tunes, and didn’t have anyone to collaborate with. 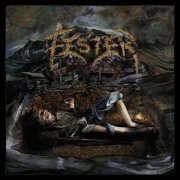 On the first two FESTER albums Rolf Tommy and I made like 50% each and some together. Regarding vocal lines and bass lines, Thomas and Jon got some guidelines, but has stood quite free to solve it the way they thought was the best. Audun played most of the drums in one take and he got no guidelines what so ever. He just felt the tunes and played on! – Talking about this, was it hard to find the proper members for the new FESTER’s line-up? Are you satisfied with how everything is working with them so far? My first idea was to use people from my area , that I respected and liked. Thomas (vocals) was also the singer in Sincera, and I have also loved his way of singing/screaming. I wouldn’t have any other. I have known Jon (also Kampfar) since the early 90’s and have been a big admirer of his bass work since then. Jontho (Ragnarok) was supposed to session the drums, but because of the earlier mentioned reasons we agreed on doing that some other time. Raymond (zynth, programming etc) was also chosen because of the history we have together and his qualities. Perfect match! – All this being said; how could you describe this new piece in just 3 words? – As I said, you have new members for this record; what have they brought to the band? Have your influences changed throughout the years? Thomas’ way of singing helps putting an edge and aggression to FESTER’s more dark and gloomy riffing that kind of synchronizes things if you know what I mean? Jon’s way of playing bass brings a heaviness and impact that this kind of music needs. I think since my main influence is my own thoughts and feeling I will have to say no… As for music we listen to, we are maybe not as “square” as in the earlier days, but I would lie if I told you that the music we listen to are very new… he he. Some great new bands of course, but tons of great old stuff! – You are now working with Abyss Records; was it easy to get a record deal? Didn’t you have any other offers? We had several offers for the re-releases of the two first albums, but I think Abyss’ way of doing things are professional , he has some great bands in his rooster, and he is an old timer with respect for FESTER. When we fished for a deal for the vinyl edition of “A celebration of Death”, we got over 10 offers. 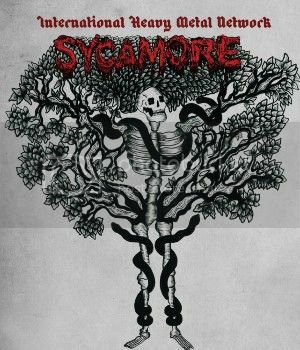 – The cover for the album was crafted by Eliran Kantor (TESTAMENT, SODOM, etc.) Could you please elaborate a bit (why and how did you choose him, what does it represent, etc.)? – Have been many years since your previous “Silence” and this brand new “A Celebration of Death”. How has the Metal scene (in general) changed and the Black/Death Metal scene in particular? What bands could you suggest? – And finally, what are the near-future plans for FESTER? Are you back to stay? – That’s all from my side, thanks once more for your time. Now feel free to add some final words. Thanx a lot for the interview. Some really interesting questions, and I am glad you have felt some of what we feel with this celebration 😉 If some hasn’t checked FESTER out, do it now, and you might have yourself a heavy time.